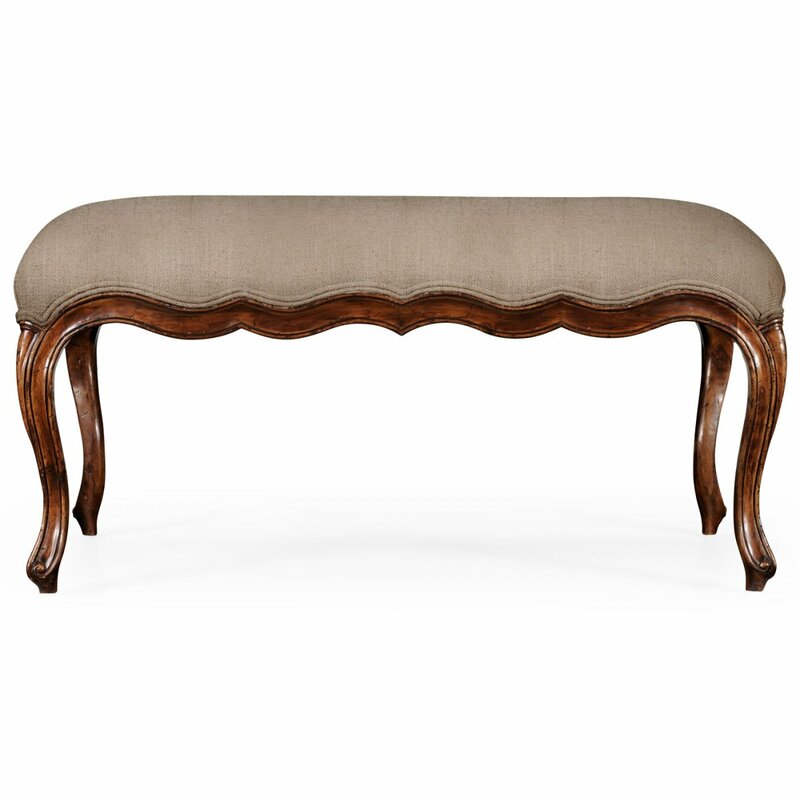 This stylish Jonathan Charles French Upholstered Bedroom Bench allows you to relax in complete style and comfort. 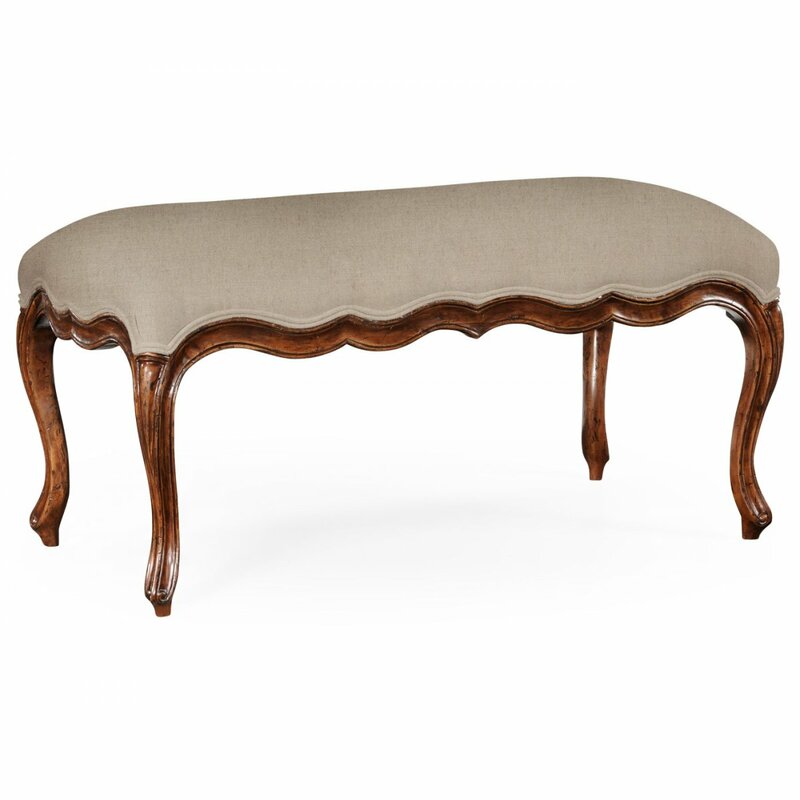 Long Bench, Bed End Stool, crafted from walnut with the distressed finish in French provincial style features a padded upholstered seat above six scrolling rococo legs. 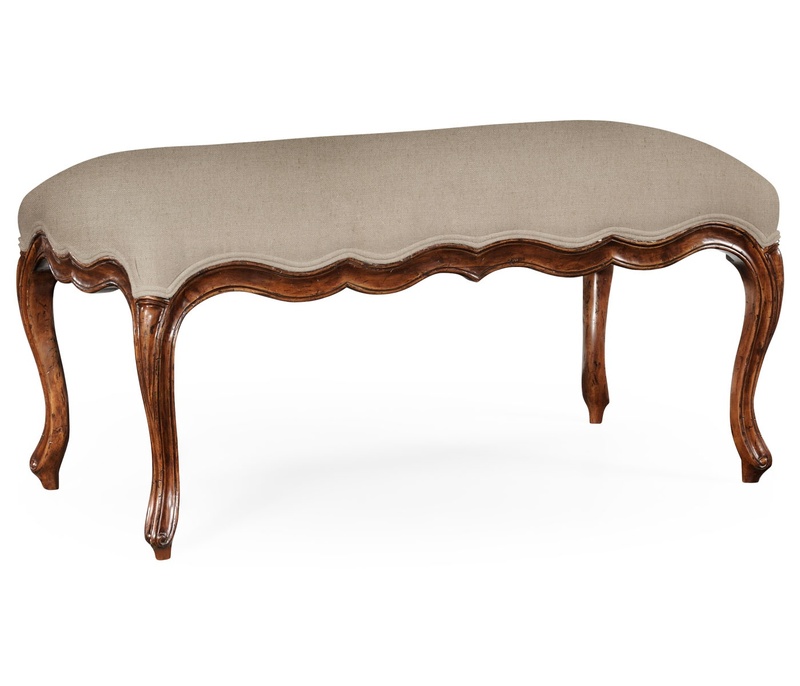 Based on an 18th-century original. 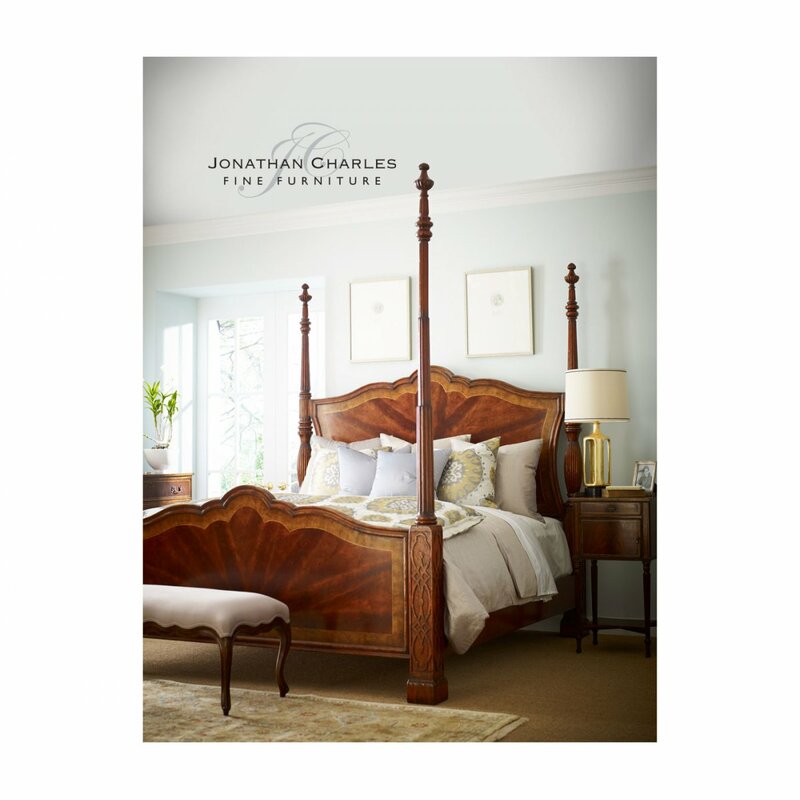 Coordinate with other pieces from the Jonathan Charles Country Farmhouse Collection bedroom furniture range to add the perfect finishing touch. COM: 1.50m (Fabric with no pattern).